Publisher / Place of Publication: COFORD National Council for Forest Research and Development / Department of Agriculture, Fisheries and Food, Agriculture House, Kildare Street, Dublin 2. 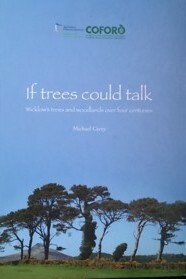 About: Wicklow is the most forested county in Ireland. This book, which is aimed at a general readership, looks at the historical background to this. It also details the many uses of timber and timber products over the centuries. As well as being a history of Wicklow’s woodlands, it can also be seen somewhat as a history of rural Wicklow itself. Chapters: Acknowledgements – Preface – [Section 1. The Woodland Resource] – Historic background – How big was the woodland resource? – Gathering evidence on past woodland cover: Archaeology, Pollen analysis, Documentary record, Ecological survey, Place names, Iconography – Woodland in the ancient past in Ireland and Wicklow – Woodland cover in Wicklow in recent centuries – Visitors’ and commentators’ views on the woodland resource – Woodland cover clues from maps and surveys – Sixteenth and seventeenth century maps and documents – Seventeenth century surveys: The Civil Survey (1654-56), Seventeenth century Shillelagh land resource surveys, Other seventeenth century documentary sources, Survey of the Meath estate 1679 – Eighteenth century surveys: Woodland surveys of the Watson-Wentworth-Fitzwilliam estate (Coolattin estate) 1724-1764 – Miscellaneous eighteenth and nineteenth century maps and paintings: Bayly estate maps, Ballyarthur 1700 and 1810, Tighe estate, Rosanna, Ashford 1756-1820, Jacob Nevill map of Co. Wicklow 1760, Updated Nevill map 1798, Jacob Nevill map of the Powerscourt demesne 1763, Downshire estate maps, Blessington 1785-1806, Early nineteenth century estimate of woodland area (Fraser 1801), Evidence from eighteenth and nineteenth century paintings – The Ordnance Survey 1835-40 – 1841 Census of Ireland – Nineteenth and twentieth century photographic evidence of woodland – Twentieth century surveys: John Nisbet survey 1903 – Woodland expansion and transformation in the twentieth century – Summary – [Section 2. Tree planting over the centuries] Background to tree planting – Legislation on tree planting – The plant hunters – Eighteenth and nineteenth century planting initiatives: The Dublin Society, Tenant tree planting in the eighteenth and nineteenth centuries, Tenant tree planting under the Tree Registration Scheme 1788-1905, Estate tree planting in eighteenth and nineteenth centuries- Watson-Wentworth-Fitzwilliam estate, Tighe estate at Rosanna, Ashford 1718-1874, Downshire estate-the Coronation Plantation, Planting at Charleville estate, 1840’s onwards, Kilmacurragh, Killruddery estate, Powerscourt, La Touche, Bellevue, Mount Usher and Glencormac Gardens, John Nisbet survey (nineteenth century estate planting) – Planting in the twentieth century: The Avondale initiative 1905-1915, Other recent twentieth century initiatives – [Section 3. Woodland industries] Introduction – Timber-using sectors: Ship building, House building and firewood, Pipe and barrel staves for the provision trade, Bark for tanning leather, Charcoal and iron smelting – Woodland business at Watson-Wentworth-Fitzwilliam estate in the eighteenth and nineteenth centuries: The estate, Woodland business, Trespass and protection of the coppices, Summary, The twentieth century at the Watson-Wentworth-Fitzwilliam estate – Woodland business at the Tighe estate, Rosanna, Ashford — Woodland business at the Powerscourt estate, Enniskerry — Woodland business at the Ballyarthur estate, Avoca Valley — Woodland business at the Castle Howard estate, Avoca Valley — Woodland business in Wicklow in the twentieth century – Epilogue – Appendix 1 – Appendix 2 – Appendix 3 – Index. WW Connection #1: Some of the key areas referred to in the text include Kilbride, Russborough, Tulfarris, Rathsallagh, Oakwood, Humewood and Coolattin. Extra #3: Includes several colour photographs, maps, other illustrations and tables. 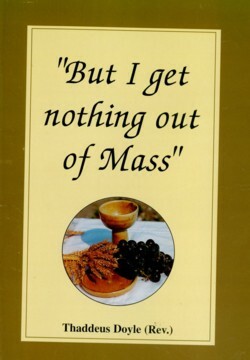 Publisher / Place of Publication: [Not stated] / [Shillelagh?]. 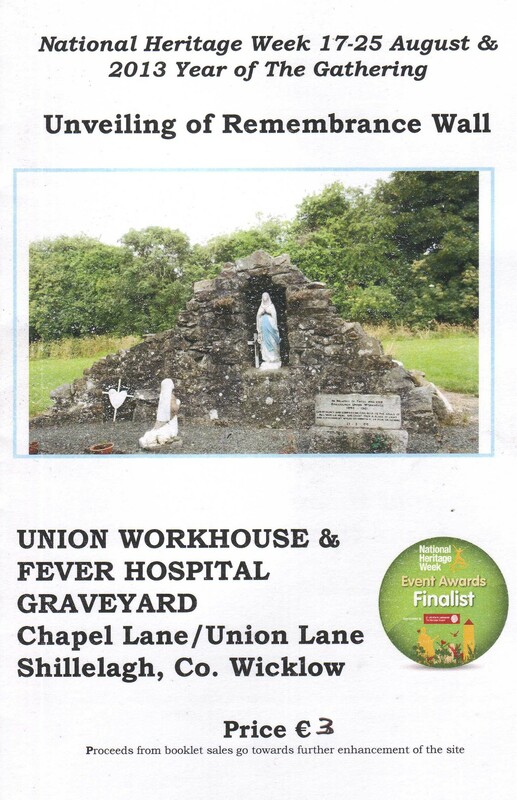 About: To coincide with the ‘Year of the Gathering’ and the start of National Heritage Week 2013, a Remembrance Wall was unveiled on the site of the Shillelagh Union Workhouse and Fever Hospital Graveyard. This followed a major tidy-up of the site by Wicklow County Council and local community volunteers. This photocopier-produced booklet was produced to accompany the unveiling and to raise funds for the further enhancement of the site. Contents: History of the Shillelagh Union Workhouse and Fever Hospital – Emigration – The Shillelagh Workhouse in the 20th century – Recent developments – Before and after restoration – Bibliography / Further reading. Extra #1: Contains map, plan and six photographs. Full title: Braddell of Bullingate, Coolmelagh etc. 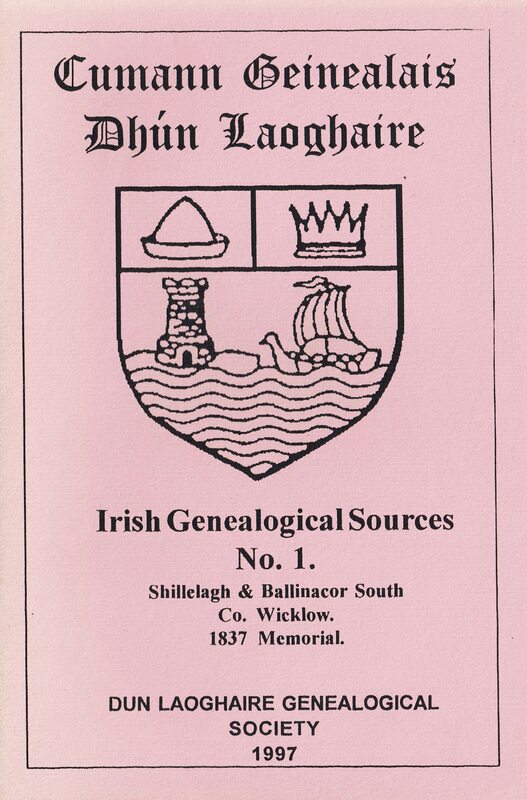 Publisher / Place of Publication: Irish Family Names / Bunclody, Co. Wexford. 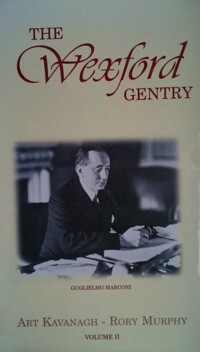 About: A chapter on the history of the Braddell Family whose lands straddled the borders of Carlow, Wexford and Wicklow. 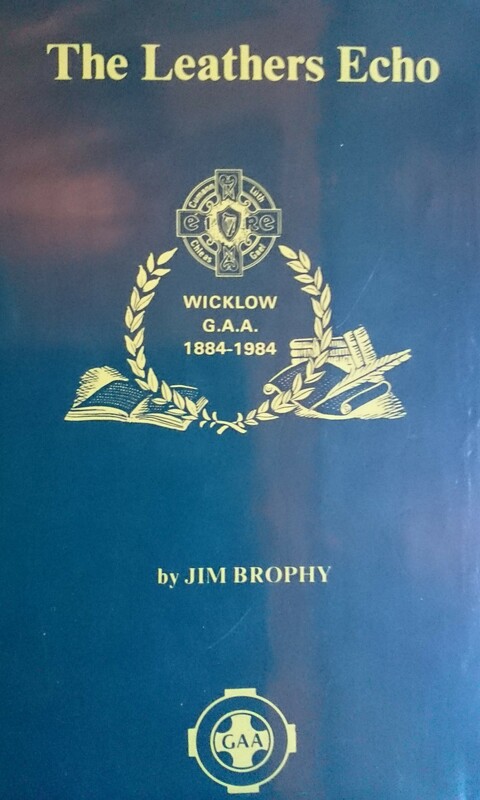 One West Wicklow branch of the family were located at Raheengraney in Moyacomb Parish in the Barony of Shillelagh. Instances of the name diminish from 1823 to 1911. Contents: Braddell – The Lower Bullingate & Croneyhorn Braddells – The Braddells of Bullingate Upper and Coolmelagh – Braddell of Raheengraney. Extra #1: Includes black and white photographs.